Call it a case of grand theft awwto. Fifteen-year-old Sam Box had just returned home from school in a rural part of Victoria, Australia, when he encountered an unusual sight in his driveway, reports 9 News Australia. 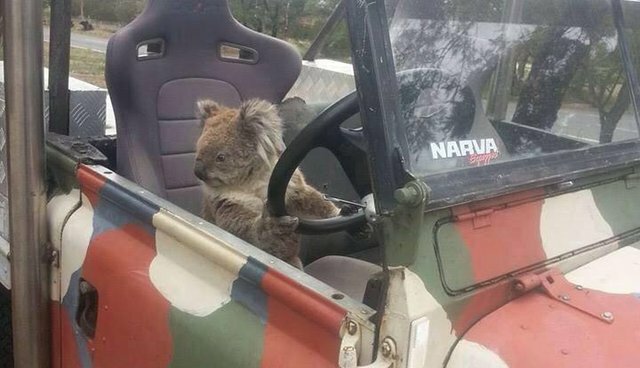 There, behind the wheel of his family's Land Rover, an adventurous koala had taken perch - appearing to be "trying to drive." "We see them a fair bit here but never in the car," he told 9 News. 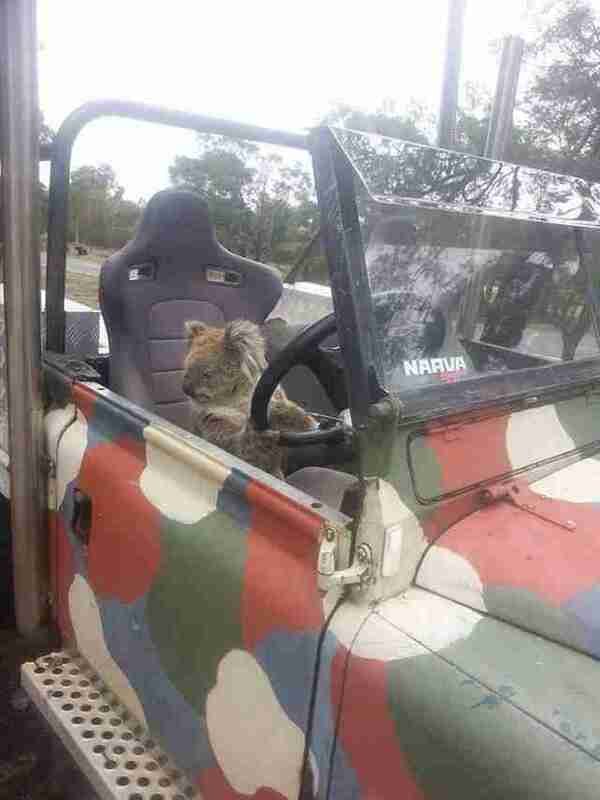 Fortunately, the adorable attempted carjacking ended without incident as the koala ultimately opted for a more traditional mode of transportation. "It was checking me out as much as I was checking him out," says Box. "I opened the door and he just got out and walked away." Visit 9 News for more photos of the near-motorist koala.